Book part of series from World Travel Organization and tells stories of ordinary people involved in the tourism sector in Vietnam. 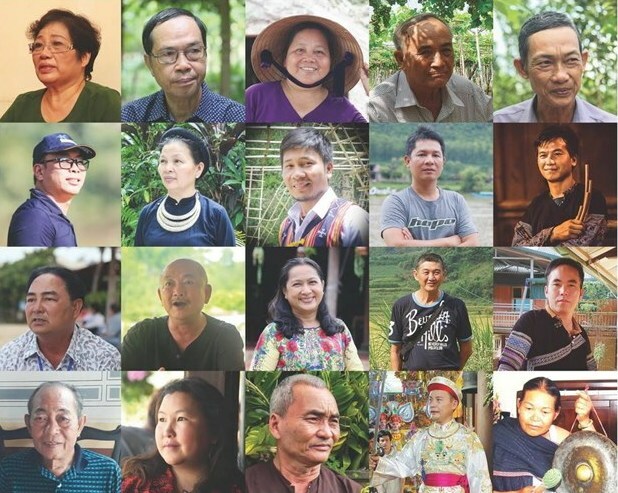 People in Vietnam involved in tourism are featured in lively tales in the book “Tourism Stories - The Vietnam Edition”, released on January 18 in Ha Long city during the ASEAN Tourism Forum 2019. Among them is the tale of a person in central Quang Nam province with a great desire to preserve the culture of the Co tu ethnic minority people; artisan Pham Thi Anh Tuyet, who actively promotes tourism with traditional cuisine; artisan Pham Hai Hau, who works to preserve and promote Chau van, a Vietnamese folk performance; and Ms. Touneh MaBio, who has made great efforts at preserving the central highlands’ gong music. This is the first time a book promoting Vietnam’s tourism has been carefully prepared and introduced to foreign readers. The book is made up of 20 stories from 20 characters active in Vietnam’s tourism sector. Each story is not only meaningful to the narrator but is also a voice to honor the values the tourism sector has brought to the lives of people throughout the country and affirms the defining role the sector plays in socioeconomic development. 20 characters from "Tourism Stories - The Vietnam Edition"
In 2013, for the first time, the World Tourism Organization (UNWTO) developed the book “Tourism Story” to record the stories of people in tourism around the world. UNWTO’s book introduced average workers and their dedication to the community in the locality where they live. The UNWTO then worked with a number of countries to publish volumes of “Tourism Stories” in Chinese, Thai, and Filipino, to help readers gain a deeper insight into people working in tourism and their jobs. Vietnam’s tourism sector is developing to new heights. Appreciating the role of the sector in socioeconomic development, the Party, the State, and the government have been paying close attention to and providing practical solutions to develop tourism into a key economic sector. More and more Vietnamese people are therefore actively involved in tourism and work towards benefiting their community. The publication of the book was assigned to the General Department of Tourism and Tourism magazine. Deputy Minister of Culture, Sports and Tourism Le Quang Tung, told the release that the book shows the commitment of the government to the development of national cultural identity, socioeconomic development, the protection of environmental resources, and improvements in the community through tourism. "Tourism Stories - The Vietnam Edition"